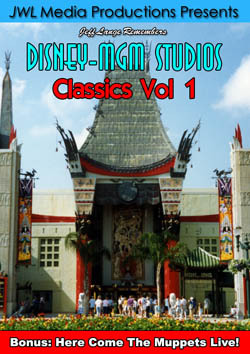 With today being the last day of Mickey’s Toontown Fair, I wanted to look back at the beginning of this area of the park. 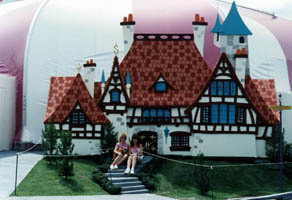 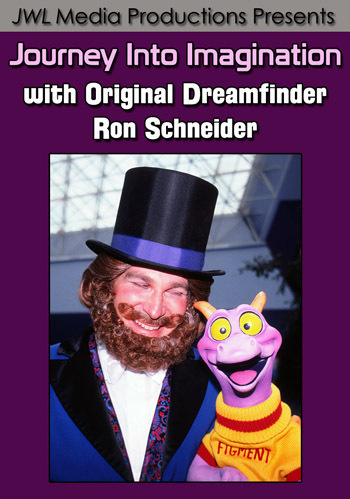 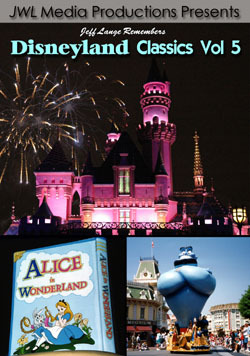 Mickey’s Toontown Fair originated as “Mickey’s Birthdayland“, for the 60th birthday of Mickey Mouse in 1988 (below, left). 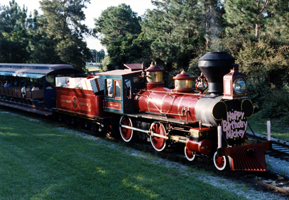 The Walt Disney World Railroad (renamed Mickey’s Birthdayland Express) had a catchy song, and a “Happy Birthday Mickey” sign on the front of the train (below, right). 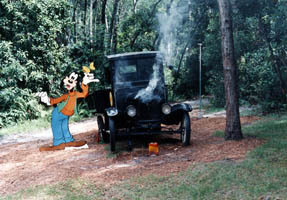 There were props to see along the route including Mickey and Minnie as marionettes with characters from Pinocchio and Bambi (below, left), and Goofy with a problematic car (below, right). 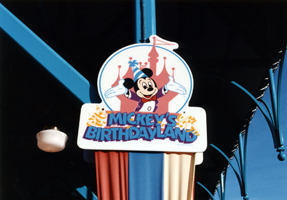 A sign welcomed you to Mickey’s Birthdayland (below, left), and you’ll notice that the train station pretty much looks the same as it does today, except for the “Mickey’s Birthdayland” sign instead of “Mickey’s Starland” or “Mickey’s Toontown Fair“. 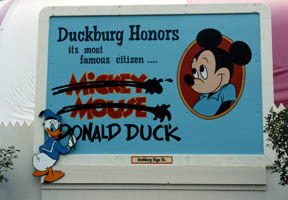 When Mickey’s Birthdayland first began, it was set in the town of Duckburg (below, left and right). 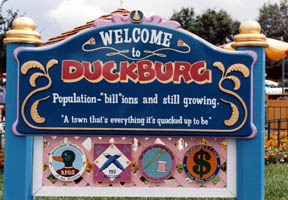 Duckburg/Mickey’s Birthdayland look very little like what Mickey’s Toontown Fair turned out to be. 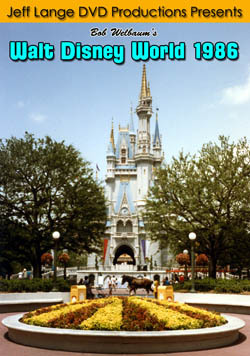 There were a variety of houses (below left and right), and later when the land was changed to Mickey’s Starland, there was a petting zoo where Minnie Moo lived until she moved to Fort Wilderness (I will have photos and video from Mickey’s Starland including Minnie Moo in another update). 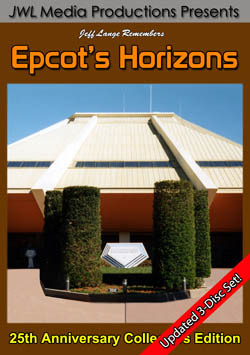 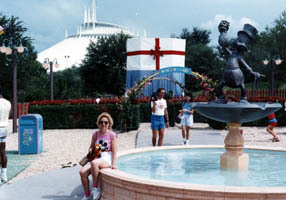 Scrooge McDuck holds up a money bag as he stands in this fountain (below, left). 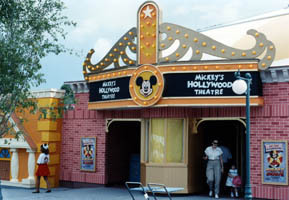 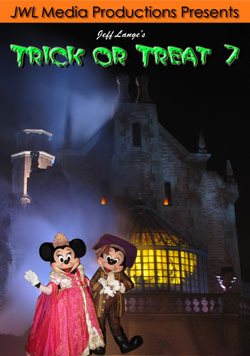 In the location where Minnie’s house is now, you could go to Mickey’s Hollywood Theater and meet the mouse himself (below, right). 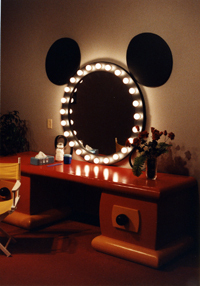 Mickey’s dressing room had a lit mirror, this is where you would have met Mickey Mouse (below, right). 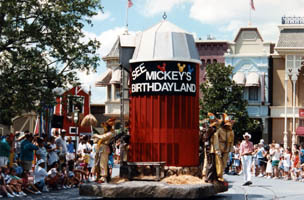 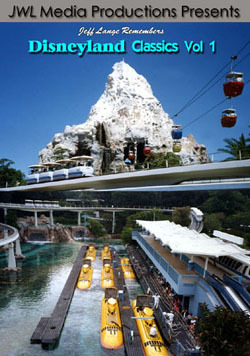 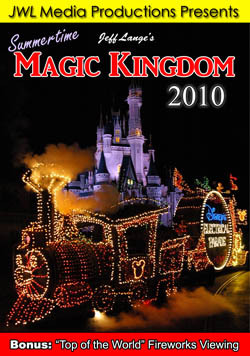 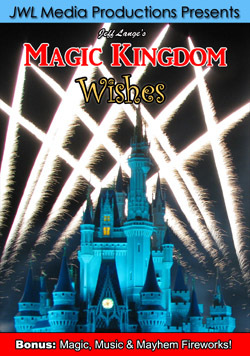 Mickey’s Birthdayland was promoted throughout the park, including in the Magic Kingdom parade (below, right). 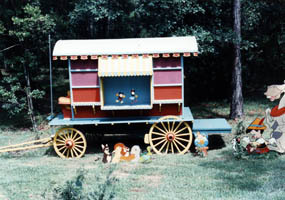 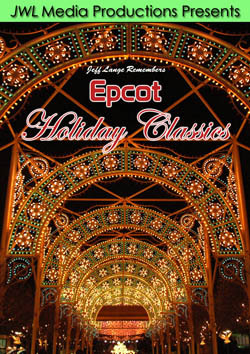 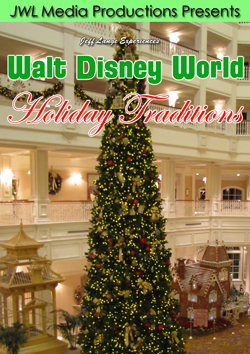 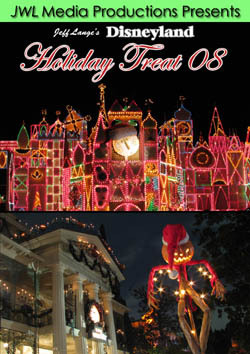 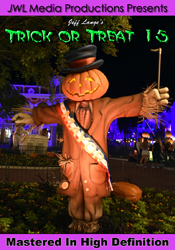 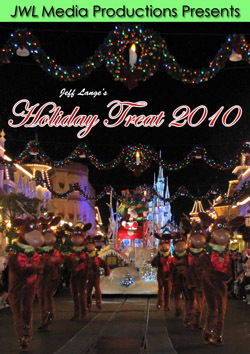 This float is still in use today during the holiday parades! 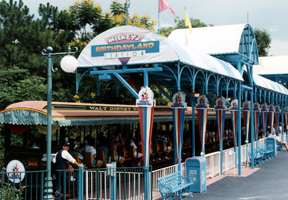 Vintage video – Mickey’s Birthdayland Express 1989 Magic Kingdom – This is the Mickey’s Birthdayland Express train from 1989. 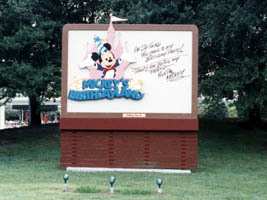 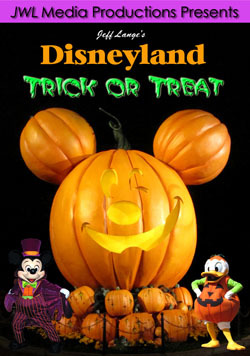 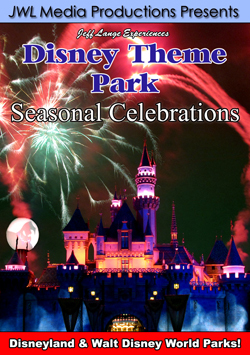 Eventually Mickey’s Birthdayland became Mickey’s Toontown Fair.